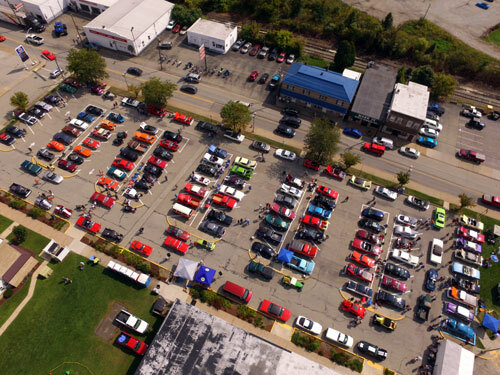 The annual car show registration begins at 9 AM until NOON. As any other year, it’s held in the Rite-Aid parking lot and the overflow continues on Pittsburgh Street. The show takes place from NOON until 4 PM. Admission is just a donation and trophies are awarded at 3 PM for Best in Show and People’s Choice. NAPA Auto Part will be awarding a trophy in commemoration of wounded warrior program to a veteran participant. The event will be DJ by D&S Sounds. Everyone is welcome to attend this fun-filled automobile event. An Antique Motorcycle show – Held in the Graft car lot across Broadway Street. Steve Braubaker from Keystone Cycle will be sponsoring the event this year. • Graft Sales and Service, Inc.